If all cinema means to you is a celebration of a fame already acquired, then you might have already seen ‘Entreat’. If cinema must be a message-cannon aimed and ready to blast at your head, then you just might love ‘Entreat’. If cinema can be more, should be more, then hold your phone, hold your laptop close. Let’s talk. We’ll start with a quick question: Can you guess what the show ‘Tinsel’ will be remembered for? Here’s a suggestion: it will be remembered as Africa Magic’s longest running television series. Here’s another suggestion: ‘Tinsel’ will be remembered as the show that gave Nigeria a number of celebrities and robbed the country of actors. Let’s take it further: Those celebrities were then bestowed Africa Magic Viewers’ Choice Awards wins or nominations, turning celebrities into award-winning actors. Think of the system as the ouroboros, that ancient symbol of a snake eating its own tail. Clearly, many of these actors are good, or used to be very good—but without a challenging role, the acting muscle atrophies. ‘Tinsel’, great as soap, isn’t exactly preparing anyone for FESPACO, Durban or Cannes. A convincing squint and an ability to be still at the end of a scene gets you a third of the way. A harsh summation, but you get the idea. What is left of our actors is a glittery shell. Some shiny surface. Michael Asuelime is the newest director to fall for celebrity. He won’t be the last. His film ‘Entreat’ enlists about a half-dozen actor-celebrities from ‘Tinsel’ and a couple from Lagos celebrity life. The result is less a film than a pageantry. All of which, bizarrely, is captured in dull cinematography (credited to OJ Asuelime and Stanlee Ohikhuare). On social media, one is inundated with short interviews telling viewers the film will change their lives. Maybe. But can the cinematographers change their approach? This, again, is one of those films that believe a message-driven film has no need for elegance. A popular Nollywood problem last seen in ‘Wives on Strike’. Reviewed here. In ‘Entreat’, a group of friends have troubled love lives. Each gets a story. The troubles are typical of film romance and stereotypical of men and women: men lie and cheat; women are passive-aggressive creatures when in love. Michael (Alex Ekubo) has a son with a woman but pines after Ayo, his ex. His friend Muyiwa (Bade Smart) has an overbearing girlfriend (Eku Edewor). Another couple is exemplary…until they are not. Etc. ‘Entreat’ is a church seminar for couples. It’s in the cinemas probably for the purpose of evangelism. Holy, holy. A real-life pastor gets to play himself. Besides the forgettable acting all round, everyone in ‘Entreat’ appears to be playing a version of real-life or an earlier role. Ekubo is funny, dashing, and spends the film dashing between two women. You know, like in Yemi Alade’s ‘Johnny’ video. Bryan Okwara as a grieving Charles has his hair and smile in place and is attractive to a young woman (played by a largely passive Zainab Balogun). Just as you’ll expect from a former Mr Nigeria. 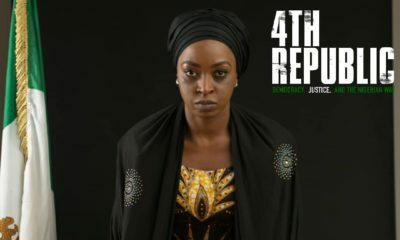 Dakore Akande playing Ayo is bad tempered. 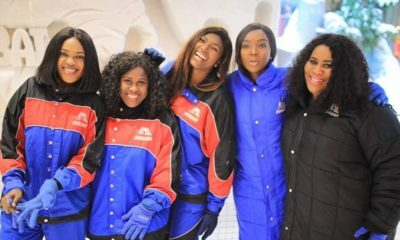 As she was in Mo Abudu’s gloried chick-flick ‘Fifty’. Feel free to add to the list. There’s more. A fuming lady called Sharon (Funlola Aofiyebi-Raimi) is actually reading about all of those characters above in a lengthy piece of text by her beau (played by director Asuelime). At first, this endless text appears to be a work of prose. Shame, because with the sloppy sentence read out by Sharon, it is the kind of writing that should never be published. Except as a personal blog post. Later, the text is revealed to be a script. Good move. Scriptwriting is not exactly writing…which is not to say a script is inferior to a piece of prose. Only that unlike great writing, screenwriting doesn’t require a mastery of the possibilities of language. The conventional script is built from scenes not from sentences. In any case, the fictional script in ‘Entreat’ matches the real one in its good-intentioned badness. Unbelievably, this bald fictional script is ecstatically gobbled up for cinematic adaptation within the film at some point. In essence, this is what happened: An actor-director casts himself as a scriptwriter, writes a fictional script that another character praises, and then gets his fictional script a film deal within his own film. He is scriptwriter and praise-singer, auteur and auto-sycophant. This scheme is not clever. It is one hand clapping in self-congratulation. In the popular imagination, Aofiyebi-Raimi is thought to be able to save a film. Not quite. Not here. She carries her dragon-breath persona on ‘Tinsel’ to ‘Entreat’: So much sound and fury to no significance. Everything is overblown. Her character is never angry when she can be furious; in place of a hissing frustration, she’s histrionic. And when she praises her partner’s storytelling gifts, it’s time to give the screen an eye-roll. It is the ultimate exaggeration, the equivalent of those Twitter and Facebook users praising their storytelling friends with such grammatical inventions as ‘amazin write up!’, ‘gr8 lyk achebe!’, ‘your d next soyinka!’. The film itself is bloated. Too many mismanaged characters. It is an attempt at cramming everything that can be wrong with a relationship into a film, and seems to take its scenarios from self-help books and other movies, not from life. Which is why the resolution of each of the stories fail. We never know if those self-help books for romance work because the author doesn’t come back to say what feedback she has received. So ‘Entreat’ cannot draw an ending from the same source it has drawn its premise. Thus, the ending rings false, forced and hurried. If after seeing ‘Entreat’, you can’t quite remember, don’t blame yourself. A time will come when you are at fault. Not this time. Ah! I concur with this writer’s view. I dragged the boo to go watch a movie as he doesn’t like transformers or the rest (says they don’t depict real life). For someone like me, who goes to the cinemas to watch Nigerian movies (many times solo, because I have an army of friends that I can’t dare invite to such occasion), saying I was disappointed is an understatement. What? What?? What??? I had to acknowledge that Nollywood failed me at this point. I’ve watched Fifty, Flower Girl, Guilty Pleasures (or what’s that one with Nse, Ramsey and Majid), Road to Yesterday, and many more in the cinemas. 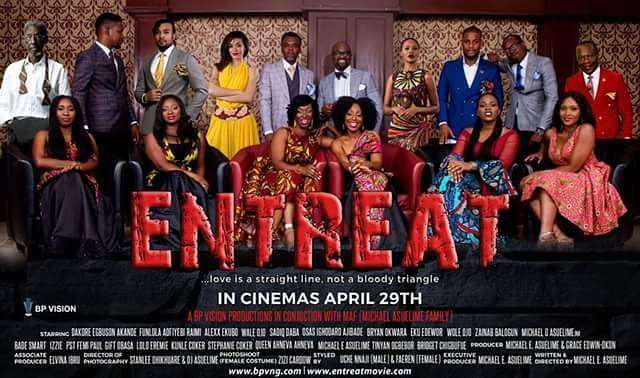 Entreat literally made me ask myself why I decided to come see a Nigerian movie in the cinemas, I was bored, but really disappointed at how bad the movie was for me to even realise that it was. Me and Le boo even entered into a mini blame game as to whose fault it was for coming to see the movie. Long story short, this movie was a No-No, many lovely actors but delivery was terrible. Storyline was clearly not thought through. That said, next time I would watch the trailer of every movie I’m coming to see at the cinemas, didn’t watch the trailer of this one, I was just too sure that it would be good cos it was star-studded. Boy was I wrong. Finally, an actual expert film critic with excellent penmanship and intelligent analysis of films! 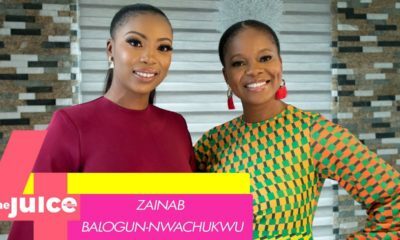 A professional review of Nigerian movies rather than the usual regurgitation of self-congratulatory press releases from the producers themselves or their PR agents. Brilliant review. And I like the way he dusted our so-called glorified actors who think acting on Tinsel is the all in all of their artistry. Gbam! Please tell them. We still have a long way to go I swear.